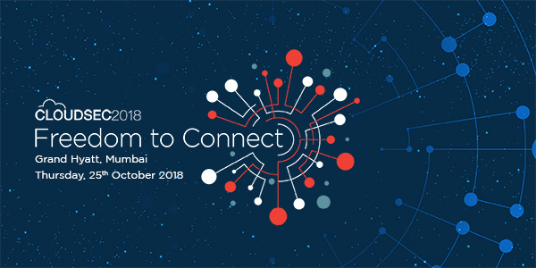 CLOUDSEC, the leading global cybersecurity conference, will take place in Mumbai on October 25. 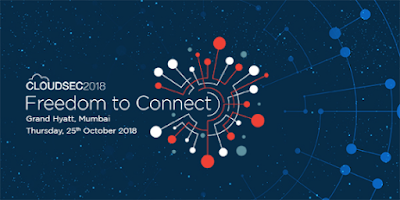 Hosted by Trend Micro Incorporated, CLOUDSEC India 2018 provides a platform for the industry to discuss and address cybersecurity issues arising from a hyper-connected world, with this year’s theme being ‘Freedom to Connect’. CLOUDSEC India 2018 will see renowned experts, industry thought leaders, and CIOs/CISOs from government agencies and businesses come together to re-evaluate and redefine their understanding of threats and risks. The day-long event will feature interesting keynote sessions and engaging panel discussions. Nilesh Jain, Vice President, Southeast Asia and India, Trend Micro, will open the session with a welcome address followed by keynote sessions. Steve Quane, Executive Vice President, Network Defense and Hybrid Cloud Security, Trend Micro, will provide his insights on ‘Global Security Trends and the Automation of Cloud Security’. Andras Cser, Vice President, Principal Analyst Serving Security & Risk Professionals, Forrester, will speak on ‘Harnessing Cyber Security Trends for Profit’. And V S Parthasarthy, Group CFO & CIO, Mahindra & Mahindra Group, will also hold a session. The keynote panel discussion on ‘Digital Transformation: Challenges & Outlook’ will be joined by BS Nagarajan, CTO, VMware India; Dhruv Singhal, Head Solutions Architecture, Amazon, India, among others. Prominent industry experts including Vinayak Godse, Vice President, DSCI; Bharat Panchal, SVP & Head, NPCI, and others are the panelists for another panel discussion on ‘Cybersecurity in Government: Readying to Protect Critical Data for Public Good’. Col. Pankaj Dikshit, SVP, IT Infrastructure, Goods and Services Tax Network; and Brijesh Datta, VP and CISO, Reliance Jio Infocomm are among the CIO speakers to give a talk at this year’s event. Leading cloud service providers - Amazon Web Services (AWS) and VMware - will hold a series of breakout sessions, where they will share their insights on securing various types of cloud environments. At the event, Trend Micro researchers will also be sharing findings and first-hand insights around emerging threats such as cryptojacking and other such covert, low-profile attacks that are fast gaining momentum. "We are increasingly seeing cybercriminals move away from attention-grabbing ransomware attacks, which peaked in 2017, to more covert methods intended to steal money and valuable computing resources of enterprises. Specific to India, the risk of cyberattacks will grow as businesses increasingly go digital, with many of them lagging in terms of implementation of security protocols as well as in their understanding of cyberthreats,” said Nilesh Jain, Vice President, Southeast Asia and India, Trend Micro. “At this year’s CLOUDSEC, we are advancing the discussion around cybersecurity. The event will provide the attendees an opportunity to enhance their knowledge on the latest security strategies and also help them make informed decisions around their security choices,” added Nilesh. CLOUDSEC India 2017 saw close to 800 participants in total. 63 percent of attendees were representatives from government agencies and enterprises and 15 percent identified as CIOs.